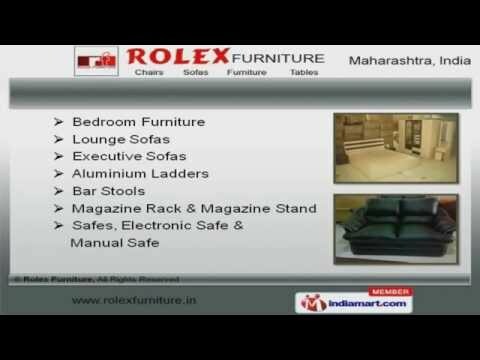 Welcome to Rolex Furniture, Manufacturer and Supplier of Office and Home Furniture. The company was established in 2003 at Mumbai. Immense domain expertise and Total quality management system help us to achieve a present repute in the market. Innovative designs and excellent polish help us to serve reputed clientele like Exa India Private Limited. We offer a wide array of Metal Shoe Racks, Wrought Iron Furniture and Cafeteria Chairs. Bedroom Furniture, Lounge Sofas and Aluminium Ladders offered by us are best in the industry amongst others. Our Bean Bags, Auditorium and Workstation Chairs are available at industry leading prices. We also provide LCD Units, Lounge Seating and Meeting Room Chairs that are a class apart. We are known in the industry as the manufacturer of TV Trolleys, Workstations and Plastic Shoe Racks. Our Canteen Furniture, Metal Beds and S. S Dinning Sets are setting a benchmark in the market.